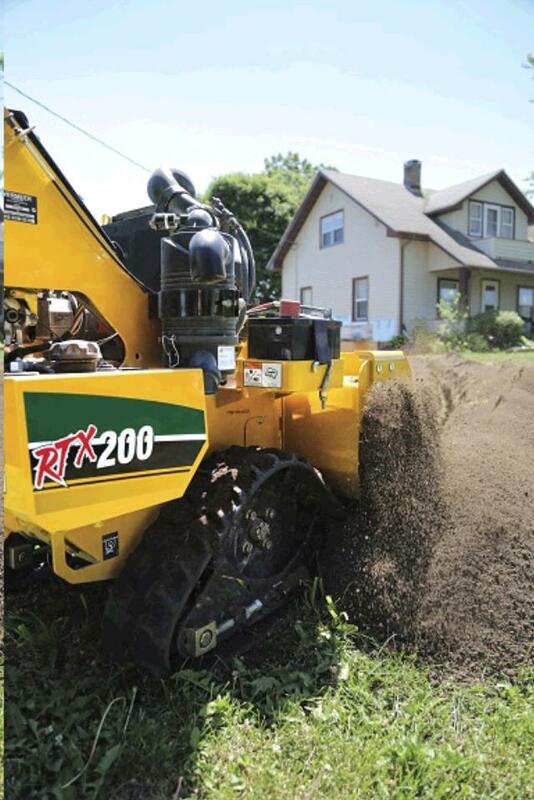 Whether it's electric lines, water lines or other utility installation jobs, the RTX200 pedestrian trencher can handle the tough challenges on your jobsite. Because of the intuitive and enhanced VZ steering capabilities, the operator can work through difficult and uneven terrains. 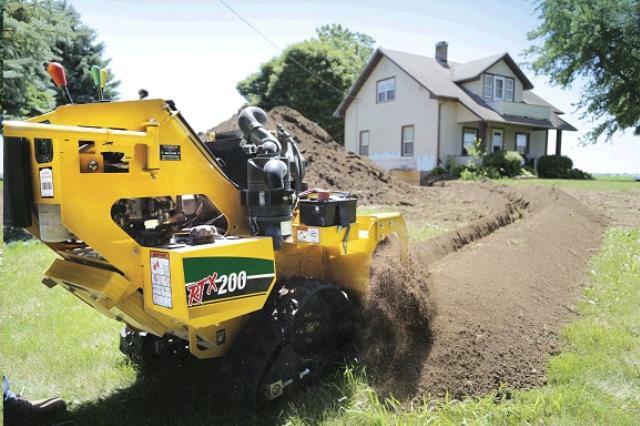 The RTX200 is equipped with a 20.5 hp (15.3 kW) Kohler engine to provide high-powered digging torque and a maximum trenching depth of 36 (91.4 cm). At 35 (88.9 cm) wide, this unit is able to fit through tight spaces such as a typical backyard gate. Offered with the option of tires or tracks, this machine can handle a variety of terrains and jobsites. 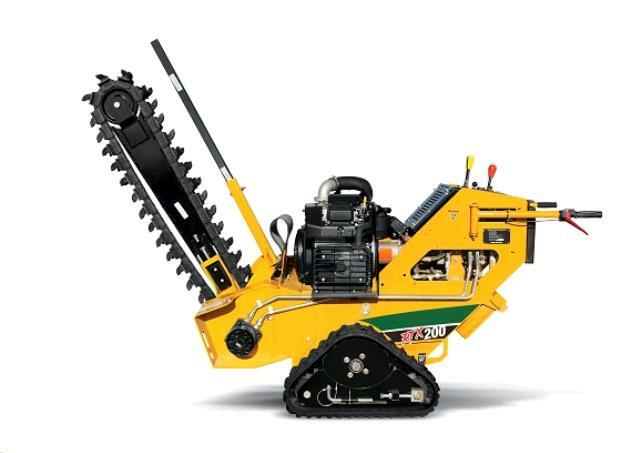 * Please call us with any questions about our trencher vermeer 6 inch x36 inch rtx200 rentals in Spartanburg SC, Greenville, Gaffney, Simpsonville, and the Upstate Region of South Carolina.